A highly intimate and cinematic experience with unprecedented access, Crime + Punishment examines the United States' most powerful police department through the brave efforts of a group of active duty officers and one unforgettable private investigator who risk their careers and safety to bring light to harmful policing practices which have plagued the precincts and streets of New York City for decades. Includes a post-film discussion with Director Steven Maing. Moderated by Christy Lemire, RogerEbert.com and KPCC FilmWeek. Reception to follow. Stephen Maing is an Emmy-nominated Brooklyn-based filmmaker. His feature documentary, High Tech, Low Life, cinematically captures the fascinating story of two of China's first dissident citizen-journalists fighting state-monitored censorship and was broadcast nationally on PBS’ award-winning series P.O.V. 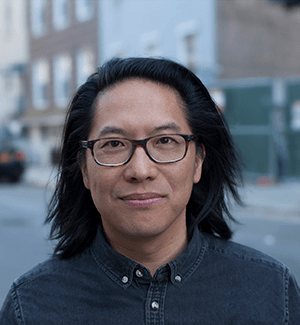 His short film, The Surrender, produced with Academy Award winner Laura Poitras, documented State Department intelligence analyst Stephen Kim's harsh prosecution under the Espionage Act. It received a World Press Photo Award for Best Long Form Documentary and was nominated for an Emmy Award for Outstanding Short Documentary. He is a Sundance Institute Fellow and recipient of the International Documentary Association's inaugural Enterprise Investigative Journalism grant as well as a John Jay/Harry Frank Guggenheim Reporting Fellow. His most recent feature Crime + Punishment, received a Special Jury Award at the 2018 Sundance Film Festival, was filmed over four years and chronicles the stories of a group of minority cops known as the NYPD12, an innocent young man stuck in Rikers and one unrelenting private investigator. He has directed films for the New York Times, Time Magazine, The Nation, The Intercept, TakePart and Field of Vision. He is co- directing an ambitious multi-character collaborative documentary about national identity and is a summer adjunct in documentary cinematography at Massachusetts College of Art & Design.